1. 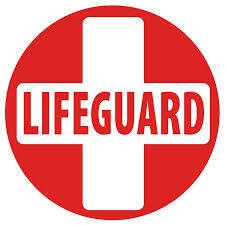 For safety, members are required to follow the instructions of the life guards, pool manager, and any board member present at all times. 2. Children ages 10-14 may be at the pool unaccompanied by an adult prior to 6pm. At all other times, children 14 and under must be accompanied by a parent or caregiver. 3. CHILDREN MUST PASS SWIM TEST to use SLIDE and DIVING BOARD, or to swim in the deep end unaccompanied. 4. ONLY CHILDREN 5 YEARS AND UNDER ARE PERMITTED IN THE WADING POOL. ALL CHILDREN WITHIN THE WADING POOL ENCLOSURE MUST BE SUPERVISED AT ALL TIMES by someone 16 years or older. 5. YOUNG CHILDREN MAY WEAR WATER WINGS or USCG approved life vests in the main pool ONLY IF PARENT OR GUARDIAN IS WITHIN ARMS REACH OF CHILDREN IN THESE DEVICES AT ALL TIMES. 6. ABSOLUTELY NO DIVING ANYWHERE EXCEPT OFF DIVE BOARDS. For the Dive Boards, NO BACKWARDS OR SIDEWAYS DIVES allowed. Only one bounce allowed. Only one person on the board at a time. 7. SLIDE USE: ONLY ONE PERSON IS ALLOWED ON THE SLIDE at a time. DO NOT STEP ONTO SLIDE PLATFORM UNTIL PREVIOUS SLIDER HAS CLEARED THE BOTTOM OF THE AREA AND MOVED AWAY FROM SLIDE. NO LOITERING AT SLIDE AREA. 8. ABSOLUTELY NO RUNNING, PUSHING, ACROBATICS, or WRESTLING. 10. ABSOLUTELY NO GUM, SMOKING, CHEWING TOBACCO, SPITTING, or GLASS CONTAINERS. 11. NO PULLING on lane lines. Swimming lane is for lap swimmers only. 12. All swimmers must be considerate of other swimmers and members in the pool area. Games allowed during uncrowded conditions only. 13. Rafts are permitted only on Friday Night Dinner and a Float Events. 14. THROW AWAY YOUR OWN TRASH. Even if your mother volunteers here, pool staff are NOT RESPONSIBLE for picking up after your mess!